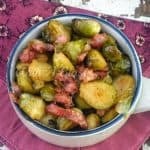 Honey Balsamic Roasted Brussels Sprouts are deliciously caramelized Brussels Sprouts with added Bacon and will be everyone’s favorite side dish ! Brussels Sprouts and I .. we are huge friends, but my husband and son,, not.at.all. That is until I started making these Honey Balsamic Roasted Brussels Sprouts ! Best Sweet Potatoes Ever just like gran used to make ! Candied Sweet Potatoes are one of the best side dishes ever with a light cinnamon flavor. 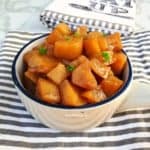 Hands down the BEST Sweet Potato side dish around ! 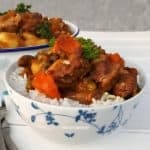 If you are looking for a new Cauliflower side dish, do try this very tasty, quick and easy recipe for Stir-Fried Cauliflower – simply the best ! 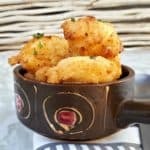 This Stir-Fried Cauliflower is one of my all time favorite side dishes. 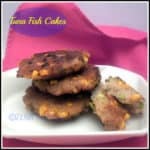 As the Cauliflower is barely cooked and stir-fried, it is quick and easy to make. 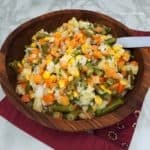 Tropical Vegetable Salad is loaded with vegetables and the added Pineapple makes the salad a hit, especially with kids – savory-sweet crunchy delicious! 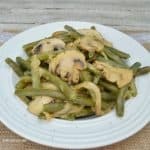 I did mention that I am going to share more salads from now on and will start with this scrumptious Tropical Vegetable Salad ! 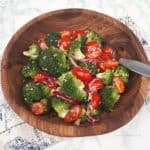 Marinated Broccoli Salad is a crunchy, delicious salad and a definite must-have recipe for especially Broccoli lovers [make-ahead friendly recipe] We eat salads almost on a daily base, but somehow, I never get around to posting about them and this Marinated Broccoli Salad is sooo good ! 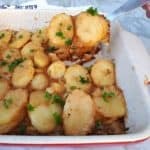 Only three ingredients needed to make this creamy, very tasty potato bake ! 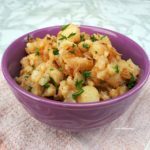 Brown Onion Potatoes have been a family favorite for decades Post and images updated November 2018 This is my hubby’s most popular and most requested Potato side dish recipe.